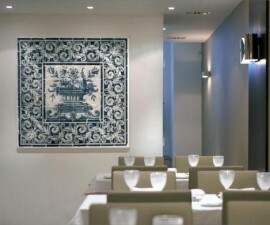 A Travessa Restaurant is a stylish restaurant in Lisbon, Portugal, which offers a delightful fusion of gastronomy and history. Set in a former 17th-century convent, it was created by Viviane Durieu, a Belgian by birth, and has been established for more than 35 years. This is one of the most delightful restaurants in Lisbon, with a unique atmosphere created amongst the ancient walls of its former convent setting. 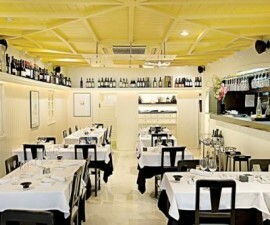 There are three distinct dining areas at A Travessa Restaurant. 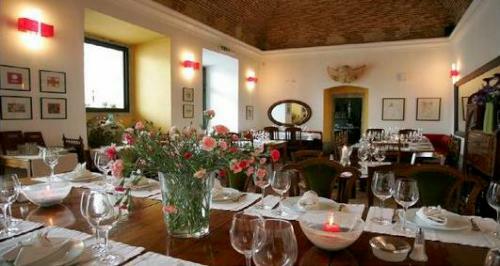 The main room is steeped in old ecclesiastical grandeur, while the side room offers a more intimate dining experience. For the ultimate in summer al fresco dining, request a table outside on the terrace within the whitewashed cloistered courtyard. For those visiting in the cooler winter months, the huge fireplace in the main room provides welcome warmth while adding a real sparkle to your evening. There is also a comfortable bar in which to enjoy a pre-dinner drink as you contemplate the prospect of dining in one of the most exciting restaurants in Lisbon. 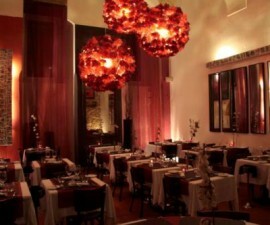 A Travessa Restaurant is strongly influenced by Viviane Durieu’s Belgian heritage, which she combines with the best of Portugal’s gastronomic flavours to perfection. The Belgian feel permeates through to the drinks menu, with a wide selection of lambic, abbey and Trappist ales on offer, in keeping with the convent setting! 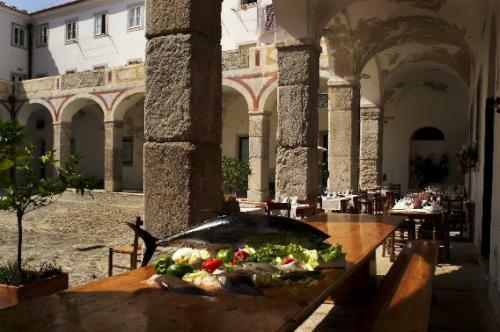 As you would expect of a restaurant in Portugal, there is plenty of seafood and freshly caught fish to be found on the menu. Add to this a Belgian twist and you will find the delightful smell of moules frites and freshly baked bread is the overriding one that permeates the old stone walls of this former convent building. The house special is inspired by the famous Nobu restaurant chain’s black cod dish, in this case consisting of cod marinated in port and soy sauce. Don’t miss the chance to try the savoury appetisers which are almost a meal in themselves – fluffy scrambled eggs mixed with wild mushrooms is a particular favourite. An average three-course meal at A Travessa Restaurant is around 40 euros and there is a varied wine menu to choose from to accompany your food. Bookings are advisable as this is a popular haunt. Opening hours are from 12.30pm to 4pm and from 8pm to midnight.